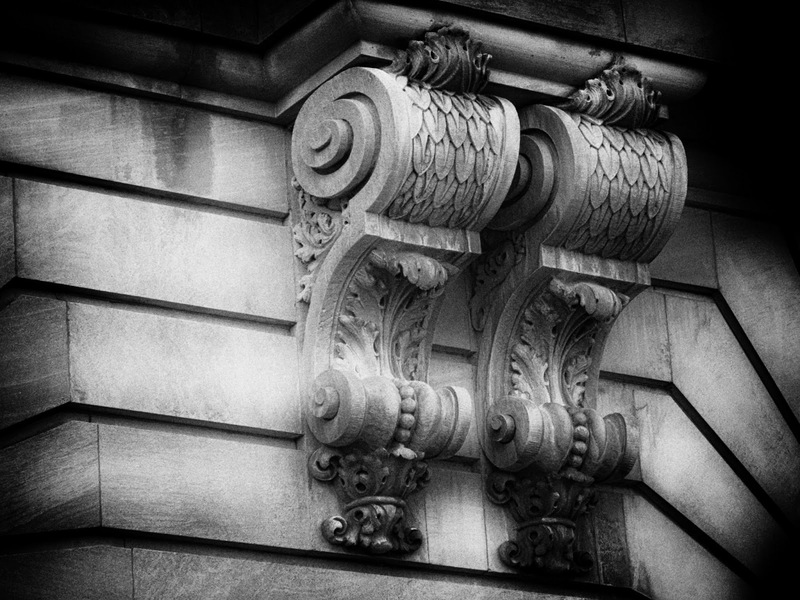 This pair of Corinthian-styled consoles support a shallow stone balcony above the main entrance to the 1899 Federal Courthouse and Post Office in Norfolk Virginia. The building housed the U.S. Courthouse and Post Office until 1934, it then served as Norfolk's City Hall from 1938 through 1965 and other local government agencies occupied the building until 1977. It now being renovated and will serve as part of the City's new Slover Library scheduled to open in late 2014. The building is a rare example of Neo-Palladian Revival style. Canon G15, 1/1250 sec @ f/2.8, ISO 400.